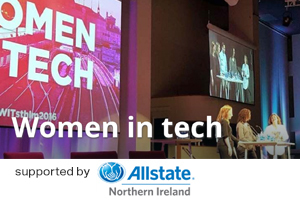 Sync NI - opinion - Are women returners the solution to the tech sector skills shortage? The ICT sector will need over 70,000 new workers over the next five years with new graduates likely to make up about half of these numbers. Developing new sources of talent will be critical to our Irish tech sector. One solution could be to tap into an existing talent pool by supporting tech women to returning to work after a career break. “Skillnet Ireland recognises the importance of attracting more women and girls into STEM related careers. We are working with employers to identify and develop female tech talent, and we are pleased to support a number of related initiatives with the Technology Ireland Software Skillnet”. “Women ReBOOT is a bridge between women and technology employers, which provides the opportunity for women to recommence their careers and opens a new stream of talent for tech employers. The programme recognises the wide range of competencies women develop both within and outside the workforce and integrates that with updated knowledge of technology. Funding from Skillnet Ireland will enable a further 100 female technology professionals to re-join the sector and take part in professional development within the sector this year. To find out more about the Women ReBOOT programme, visit www.womenreboot.ie.